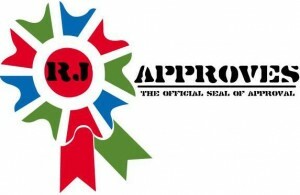 spbm | RJ Approves This Message! Disks Will Fail – VSAN Doesn’t! I was building my lab with VSAN backed storage – because I did not have a compatible RAID card I grouped the disks as a RAID-0 and presented it to VSAN. It worked and worked well – VSAN saw one big disk of about 1.6 TB (Had three disks worth 550GB each). I was advised that it was a bad idea – because if the data got striped by the RAID controller and if one disk goes bad – VSAN now is stuck with missing and corrupted disk. The proper way to do this was to have a RAID-0 on per disk and present all these individual disk volumes to VSAN to participate in a disk group. I went back and did that and boy am I glad that I did. Thanks to Luke Huckaba – @thephuck for pointing it out in my lab which saved me hours of work later.